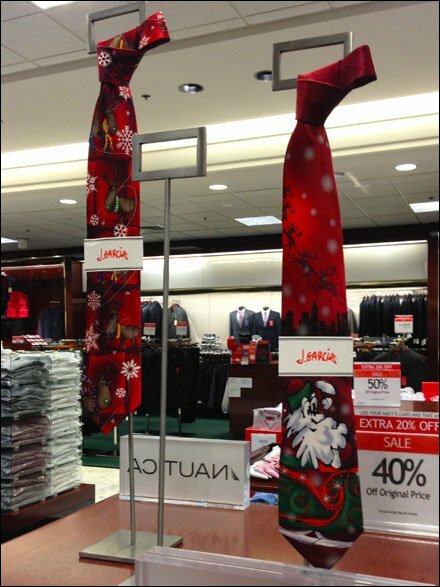 I’m not familiar with this style of Necktie Knot, but it drew all the more attention to the display. The fixtures were not used as freestanding sign or label holders. Since these accept no sign insert, they can only be used for various displays and drapes of merchandise. Scarves and gloves immediately leap to mind, Can you suggest other uses? SEE the gallery for a range of images.